The vast knowledge of Ullmann's brought to your desk. A carefully selected "best of" compilation of the most relevant articles from the online edition of "ULLMANN's Encyclopedia of Industrial Chemistry", this handbook for the chemical engineer contains a wealth of information on industrial scale chemical reactions, their development, management and optimization. The first part of this two-volume compilation covers basic processes of reaction engineering and reactor types, followed by parts on energy management, process development and intensification, as well as process safety. Around three quarters of the articles have been recently published or extensively updated, providing a timely review of the science and engineering aspects of chemical reaction engineering. 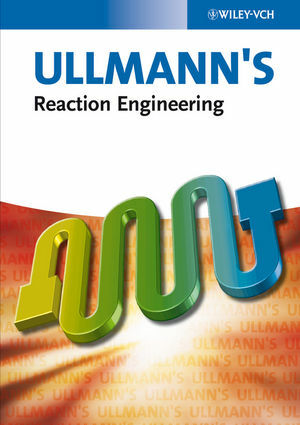 Selected by the ULLMANN'S editorial team, this handbook contains contributions by internationally acknowledged authors from the chemical industry (BASF, Bayer, Cognis, ICI, Lurgi, Sasol, and others) as well as from leading research institutions (University of Birmingham, Clausthal Technical University, Darmstadt Technical University, Hamburg Technical University, University of Melbourne, University of Twente, University of Vienna, and others).